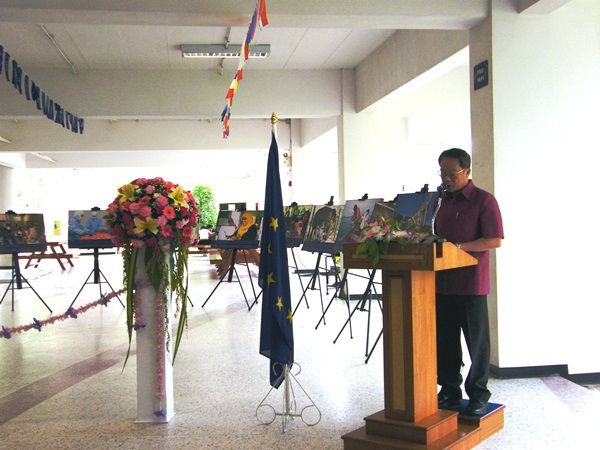 Prince of Songkla University (PSU) had the opportunity to host the EU Travelling Tour of Thailand 2011 from February 1–11. 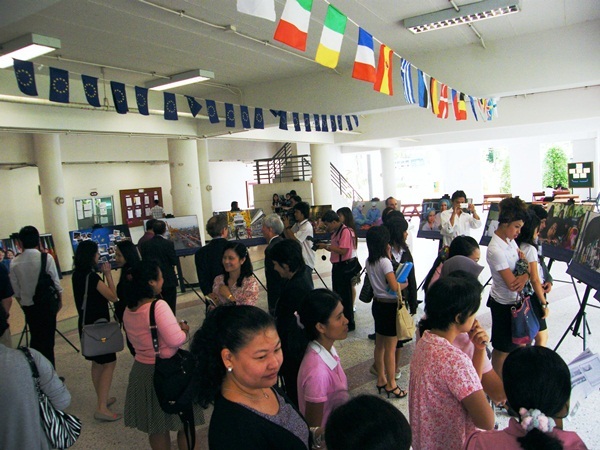 Several activities took place during this event, such as a photo exhibition—“EU faces in Thailand”—various keynote lectures and presentations on EU-Thailand relations and on possibilities for Thai academics and students to study in Europe, as well as several EU film screenings. 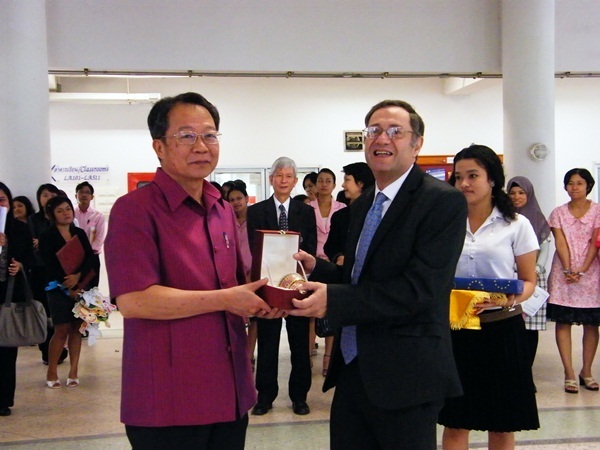 On this occasion, PSU had the honor and privilege to receive His Excellency Mr. David Lipman, EU Ambassador and Head of the delegation of the European Union to Thailand. H.E. 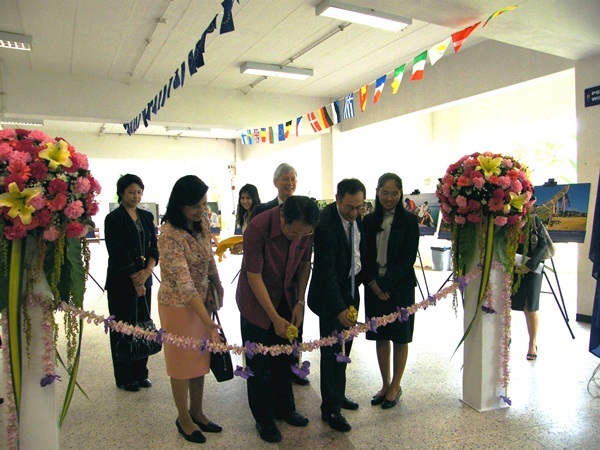 EU Ambassador and PSU President, Associate Professor Dr. Boonsom Siribumrungsukha, marked the opening ceremony with a ribbon-cutting ceremony. Afterward, H.E. Mr. David Lipman gave a keynote lecture on “EU in the World” for PSU staff and students, who also had the chance to ask H.E. questions concerning the topic. PSU already is part of two consortiums, including the European universities Rome La Sapientza (Italy) - Higher Education Consortium in Earthquake Risk Mitigation Developmental Issues in Disaster Prevention and Management; and University of Nice Sophia Antipolis (France) - “Erasmus Mundus Mobility with Asia-East” (EMMA-EAST). 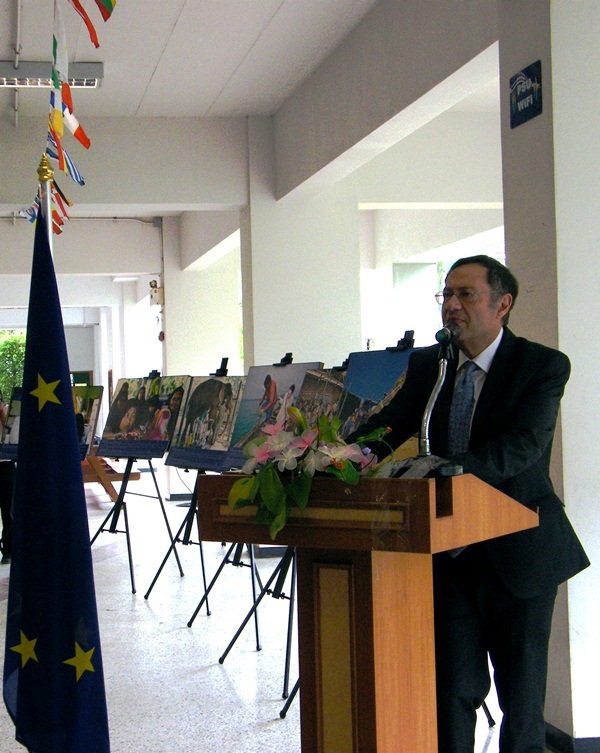 Moreover, during this EU Travelling tour it was announced that there are allocated 22 Erasmus Mundus scholarships available to PSU academics and students who wish to further their studies in Europe, or who wish to establish joint programs or research with institutions of European higher education. 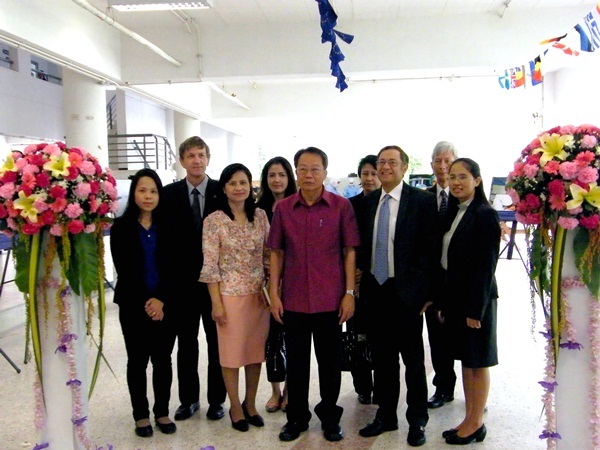 There are also 29 Erasmus Mundus scholarships allocated to all Thai nationals. Therefore, more than 30 Erasmus Mundus scholarships are available for PSU students and academics. For more details concerning the Erasmus Mundus Scholarships and how to apply, please visit the website of the PSU International Affairs Office at www.interaffairs.psu.ac.th .